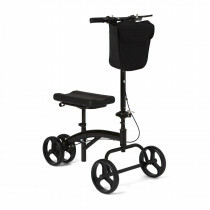 A knee scooter, also known as a knee walker, is a great alternative to crutches during rehabilitation. 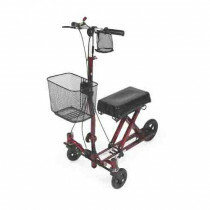 Some injuries that a knee scooter would prove beneficial include sprains, ulcers, a broken foot and post-foot operations. 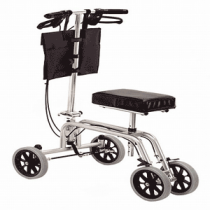 After injury and the patient is going through the rehabilitation process, an individual utilizes a knee walker by gently kneeling one leg on the cushioned knee pad and using the free leg to propel the walker forward. 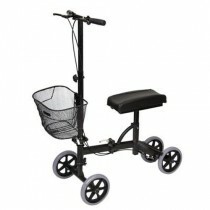 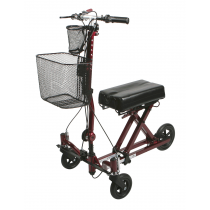 Most knee walkers come with 4 to 8 inch wheels, which allows an individual to easily maneuver around their environment. 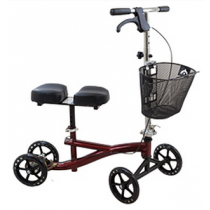 In addition to being effortlessly manipulated, knee walkers are easily adjustable to accommodate the needs of the individual patient, too. 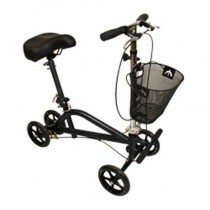 Knee scooters, additionally, are readily available in junior or adults sizes. 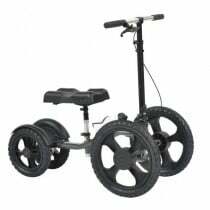 Some knee scooters are even equipped with brakes and others are steerable. 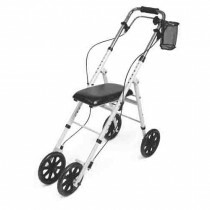 To find the best combinations for your specific needs, peruse the descriptions below of the wide variety of knee walkers. 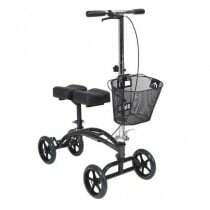 Contingent upon your individual needs, Vitality Medical has a knee scooter for sale that can efficiently and effectively assist you during your healing process. 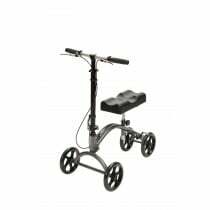 To ensure that you are choosing the best leg walker, please confer with your medical provider.